Purchase broccoli florets that have already been cut for convenience. Like it spicier? Serve with Sriracha sauce or add additional Thai red curry paste. 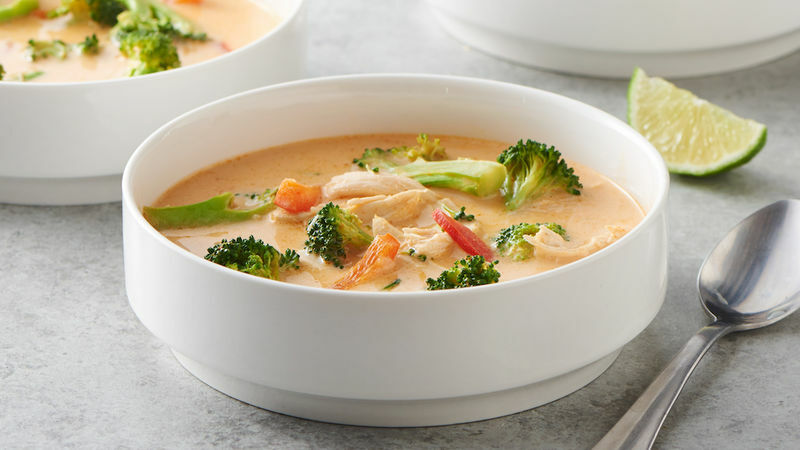 This coconut curry soup calls for red curry paste, but there are actually a few different types of curry pastes used in Thai cuisine. (Curry paste should not be confused with curry powder, which is a dried spice mixture that is a staple ingredient in Indian cooking.) In addition to red curry paste, which is often the spiciest, green curry paste and yellow curry paste are also common. As they vary in color, they also very in taste and heat level, so we would recommend not subbing one for another—use the paste that the recipe suggests. 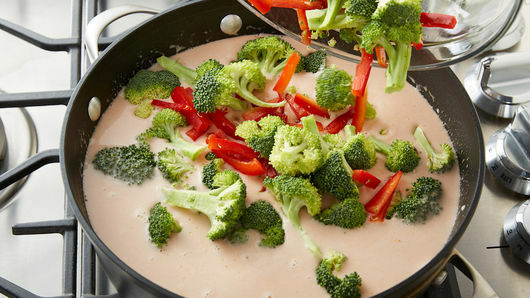 Curry paste is often mixed with coconut milk in recipes (like this one), and curry dishes tend to also feature a protein like chicken or shrimp and various vegetables. This coconut curry soup is super quick, thanks to already-cooked rotisserie chicken. 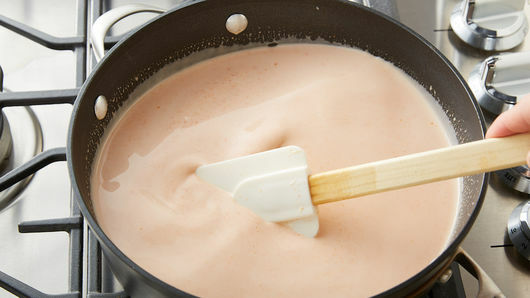 Chicken is a staple protein in all kinds of soups—check them all out here! And just when you think you’re bored of soup, try changing up with toppings to take things up a notch.